Irish Eyes 2 Slots: Best slot sequel ever? Irish Eyes 2 Slots teaches us an important lesson. And it's a simple one: sequels don't have to be bad. And in the case of this NextGen Gaming slot - they can actually be much better than the original. Especially with improved free spins and a max 5000x stake win available. The most impressive change? It has to be the visuals, which have received a significant HD upgrade over the original. A golden forest background showcases this new graphical flair with subtle animations. And it goes without saying that the free spins look better than ever. But what else is new here? 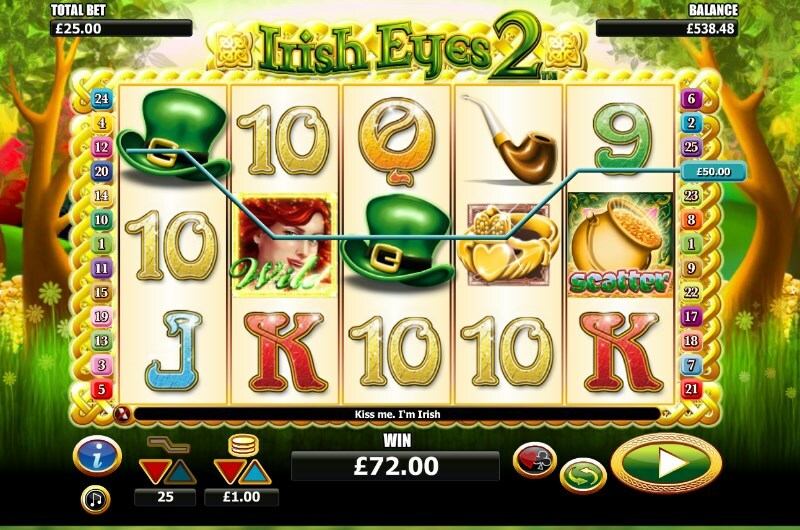 Find out in our full Irish Eyes 2 Slots Game impressions. The Irish Eyes 2 Slots Bonus features received some of the biggest tweaks. For one, you can now win almost double the free spins if you match five of the pot scatter symbols. With 20 free spins at your disposal, you could reap the game's best rewards. And like the first game, all wins in free spins are tripled for some mega money opportunities. One strange omission from the sequel is the Leprechaun - and this means there is no longer a pick a prize feature available. But the red-haired girl more than makes up for his absence. Not only can she substitute for other symbols in a winning payline, but she is also the highest paying symbol in the game. In fact, a five of a kind win can award a staggering 5000x win. NextGen Gaming's classic Irish slot didn't just receive a feature or graphical upgrade. The game controls were also vastly improved: if you play Irish Eyes 2 Slots and then the original you will see the difference. The new interface makes this slot far more accessible to new slots players. To start playing, you simply need to choose your stake and press the spin button. You can start betting from just 25p - unless you want some higher stakes fun. In which case, a £50 max betting limit could suffice. More advanced players may want to check out the autoplay option for extended periods of play. It's also a useful tool if you enjoy juggling your gambling with other activities. With new and improved free spins and a gorgeous new art style, Irish Eyes 2 is a worthy addition to the Irish themed slots genre. It's also an example of a sequel done incredibly well. If you love Irish style games with loads of free spins - then we highly recommend checking this one out. Need some more info? 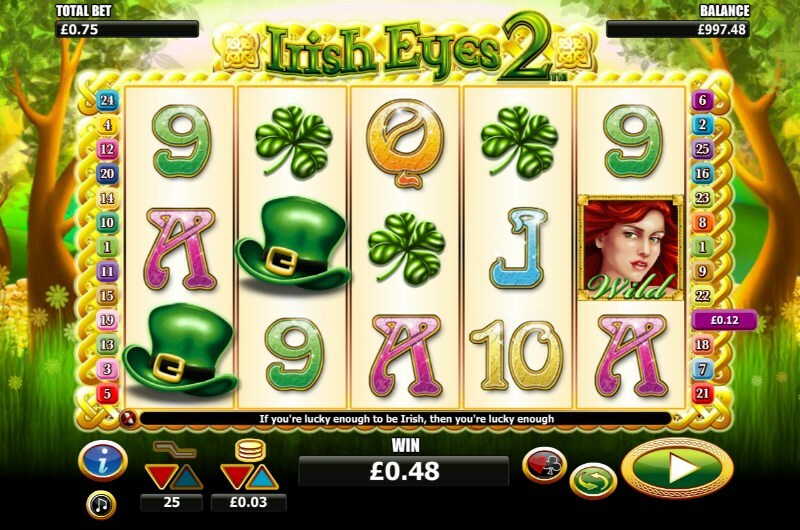 You can find out about the free spins, bonus features and RTP in our Irish Eyes 2 Slots Review.